composer and violinist; b. 5th February 1909 in Łódź, d. 17th January 1969 in Warsaw. Initially she was taught the piano and the violin by her father – Vincas Bacevičius (Wincenty Bacewicz). From 1919 she continued her music education with Helena Kijeńska-Dobkiewicz at Łódź Music Conservatory, where she studied violin, piano and music theory. In 1923 she moved with the whole family to Warsaw, where from 1924 she attended Warsaw Conservatory, studying composition with Kazimierz Sikorski, violin with Józef Jarzębski, and piano with Józef Turczyński. Simultaneously she took up philosophy at the University of Warsaw; she resigned from this study, however, after one-and-a-half years; she also interrupted her piano classes. In 1932 she graduated from the Conservatory, obtaining two degrees - in violin and in composition. In the same year, thanks to financial aid from Ignacy Jan Paderewski, she received a scholarship to study composition at the École Normale de Musique in Paris with Nadia Boulanger (1932-33). She also took private violin lessons from Henri Touret. In 1934 she returned to Paris again to study with the Hungarian violinist Carl Flesch. Her first success as a soloist came in 1935, when she won the 1st honourable mention in the 1st International Henryk Wieniawski Violin Competition in Warsaw. In 1936-38 she worked with the Polish Radio Orchestra in Warsaw, organised by Grzegorz Fitelberg, in which she was the concertmaster. Her work in this orchestra allowed her to develop her knowledge of orchestration. Before WW II she also gave frequent concerts, often with her brother Keystut, a well-known pianist, in Lithuania, France, Spain and other countries. Under the German occupation, she gave underground concerts and performed for the Central Council of Social Care (RGO). After the war, she continued giving performances until 1953, including recitals in Belgium, Czechoslovakia, the USSR, Romania, Hungary and France. Simultaneously in 1945 she began work at the State Music Conservatory in Łódź, where she taught theory and the violin. In the later 1950s she dedicated herself almost entirely to composition and teaching. From 1966 till her death, she taught composition at the State Higher Music School in Warsaw (from 1967 bearing the state title of professor). She frequently sat on the juries of violinist and composer competitions in Liége, Paris, Moscow, Naples, Budapest, Poznań and Warsaw. In 1955-57 and 1960-69 she was Vice-President of the Polish Composers’ Union. In the 1960s, she also wrote several novels and novelettes (still unpublished) and a collection of short stories: Znak szczególny [Birthmark] (“Czytelnik”, Warsaw 1970; 2nd ed. 1974). 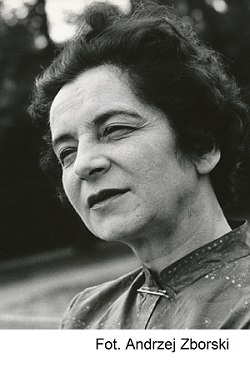 Of Bacewicz’s immense output of compositions, many have frequently been awarded: in 1933, her Quintet for wind instruments (1932) won the 1st prize in the Aide aux Femmes de Professions Libres Competition for Composers; in 1936, the Polish Music Publishing Society granted her 2nd prize in a competition for her Trio for Oboe, Violin and Cello (1935) and an honourable mention for Sinfonietta for string orchestra; in 1949, her Piano Concerto (1949) received 2nd prize (the 1st was not granted) in the Frédéric Chopin Competition for Composers organised by the Polish Composers’ Union in Warsaw. In 1951, she was awarded 1st prize for String Quartet No. 4 (1951) in the International Competition for Composers in Liège; in 1956, String Quartet No. 5 received 2nd prize in the same competition. In 1960, the International Rostrum of Composers organised by UNESCO in Paris honoured her Music for Strings, Trumpets and Percussion (1958) with the 3rd prize - the highest among orchestral pieces; in 1965, her Violin Concerto No. 7 received the Belgian Government Award and a Gold Medal in the International Composers’ Competition in Brussels. Grażyna Bacewicz also received many awards for her entire artistic output. Among others, she was granted the Warsaw City Music Award in 1949 for her compositions, performances, organisation of music life and teaching. In 1950, she received State Award, 3rd Class, for Concerto for string orchestra (1948); in 1951 - 1st prize at the Polish Music Festival for her festival works, in particular - for Violin Sonata No. 4 (1949); in 1952 - State Award, 2nd Class for Violin Concerto No. 4 (1951), the (already mentioned) String Quartet N. 4 and String Sonata No. 4; in 1955 – the Minister of Culture and Art Award for Symphony No. 4 (1953), Violin Concerto No. 3 (1948) and String Quartet No.  3 (1947); in 1960 – the Polish Composers’ Union Award for outstanding achievements in the field of composition; in 1962 – the Minister of Culture and Art Award, 2nd Class for Pensieri Notturni for chamber orchestra (1961). She was also decorated with the Order of the Banner of Labour, 2nd Class (1949) and 1st Class (1959), the Cavalier’s Cross (1953) and the Commander’s Cross (1955) of the Order of Polonia Restituta, and the 10th Anniversary Order of the People’s Republic of Poland (1955). 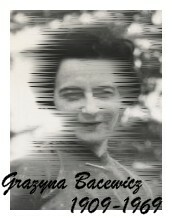 Grażyna Bacewicz was one of the very few Polish women-composers. In the world’s music, the number of women among composers was small in all periods: well-known examples include the medieval Benedictine Hildegard von Bingen, and the Baroque artist Francesca Caccini, daughter of the better known author of the earliest operas - Giulio Caccini. Francesca dedicated her opera La liberazione di Ruggiero dall’isola d’Alcina to the Polish prince, the future king Ladislaus IV Vasa, which is an important Polish accent in her work. In the early 19th century, the famous Polish pianist and composer Maria Szymanowska wrote a large number of piano works. In the 20th century, Germaine Tailleferre formed “Les Six” with several other French composers, most of whom became better known than herself. Another Frenchwoman was Nadia Boulanger, who is now mostly remembered as an eminent composition teacher. One of her students was Grażyna Bacewicz, who owed to Boulanger her excellent technique, later applied in her numerous and varied works, mostly neo-Classical in style. As a well-educated concert violinist, Bacewicz dedicated herself largely to music for violin and other string instruments. She wrote 7 violin concertos, 2 cello concertos and one for the viola; 7 string quartets, 5 sonatas for violin and piano and 2 for solo violin. Many of these compositions, as well as other chamber and symphonic works, are still successfully performed in concert halls together with “masculine” pieces.